Don't ask me how my closet re-organization project is coming, because I haven't even begun! In fact, I added things to my closet after last week's trip to my new favorite shop Austin shop Plain Ivey Jane. Oh, internet, you were supposed to keep me accountable! Someone needs to come over here and give me a swift kick in the pants! Speaking of pants, none of mine are clean, and it's cold here. 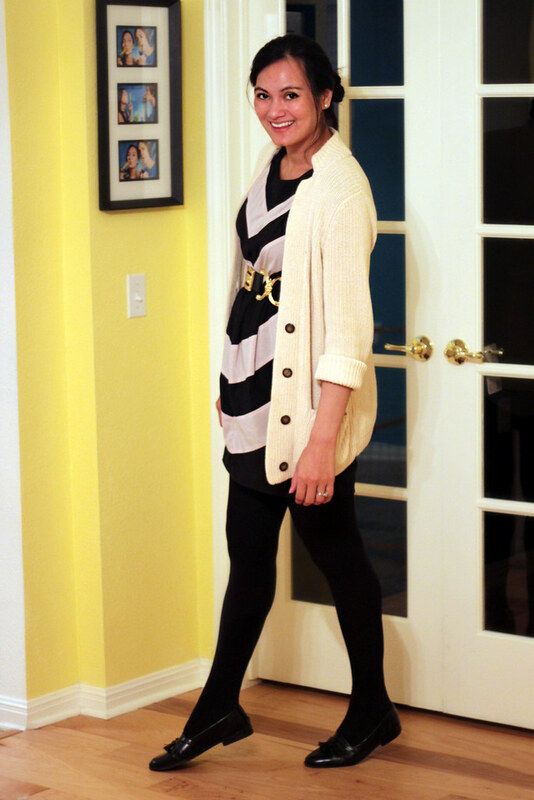 This meant I got to wear a dress to date night. 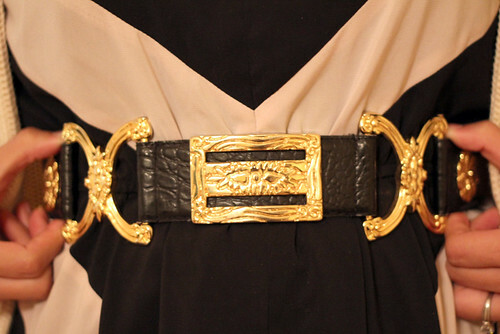 This belt is a prime example of something that is adding to the clutter in my closet but I can't just let go of. This belt doesn't even work! It's been without a clasp since I got it, and tonight was the first time that I jerry rigged it up. Confession: Yep. 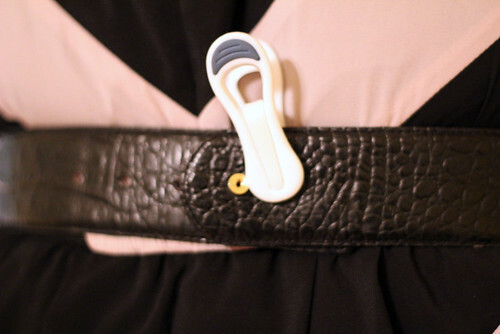 I clipped a plastic clothespin to my belt to keep it up around my waist. Ghett-oh! Go ahead. Make fun of me all you want. Today was a stellar day. I want to give the whole internet a hug: Instead, I'll just hug this computer. Why am I so happy? Well, I was nominated for a 2011 Texas Social Media Award, and the nomination reason is so thoughtful. There are an astounding 380 nominees, and granted, there's no comments on my page yet, but nonetheless I get really excited when my community sees that I have a real passion for connecting my readers with each other and connecting with the local-ish ones in person. If you'd like, leave me a comment over there so my page doesn't look so pathetic and bare. If you say something funny, I will personally high five you. 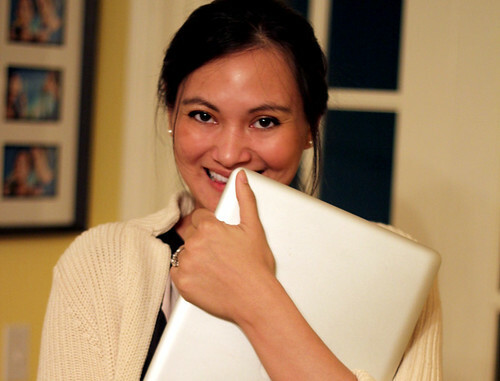 Yeah, because that's just what you've always wanted: a high five from an unorganized style blogger who hugs computers.